What Makes a Cruise Family Friendly? Do you ever think about taking a cruise, but can’t imagine how you will manage several days at sea with young children? When you begin to think about what it would be like to have the luxury of being on board a floating resort to a place you have always wanted to see, does your head flood with thoughts of dealing with dirty clothes, meals that aren’t kid-friendly, or worse yet, being trapped at sea with bored kids? Then there are the what ifs that come to mind. What if one of us needs medical care while on the cruise ship? What if we have food allergies? What if we don’t have the right clothes to wear? During the past 25 years of my cruise travels, I’ve watched cruise lines and their ships evolve into cost-effective, affordable luxury vacations for families. Most cruise ships are family-friendly providing a variety of daily activities for every member of the family from grandparents down to little ones in diapers. While children participate in complimentary, age appropriate day and evening youth programs conducted by trained staff, adult members of the family have the free time to enjoy all the activities the cruise offers. Cruise ships also anticipate the needs of families traveling with children as a standard practice. High chairs and cribs are available.The ship store carries diapers and other child care necessities, dining rooms have a supply of coloring materials on hand, and have a kid friendly menu. Each cabin on the ship is equipped with a refrigerator that can store baby bottles as well as healthy snacks. Meals/ snacks: All meals in the complimentary dining rooms, snacks such burgers, fries and hot dogs on the pool decks, desserts and unlimited coffee, tea, juices, milk, and soft serve ice cream are free throughout the trip. Soda and alcoholic beverages cost less if purchased through a beverage package. Sea activities: Throughout the trip, all activities during the day and in the evening are free with the exception of the game arcade, casino, and spa services. Youth programs: All youth programs are complimentary. Program participation is on a first come, first served basis. Children are grouped by age. Staff are trained professionals experienced in providing recreational activities and supervising children and teens. There are children’s programs and programs for teens. Programs begin at 9 AM, break for lunch with family, begin again in the early afternoon and go until 5 PM. Evening programs begin at 7 PM and close at 10:30 PM. During land excursion days, children can remain in the youth programs. There is a small fee for staff supervision of children remaining in program during meal times. 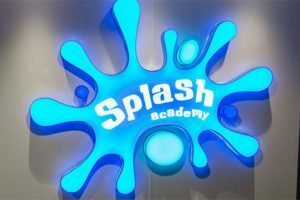 To view a sample of a youth program, Read About the Splash Program. Family activities: In addition to pool side activities, water slides, basketball, table tennis, and shuffleboard, some ships have a bowling alley, volleyball and tennis courts. The library stocks current best sellers, and popular board games. Laundry: Cruise ships either have self-service laundries on most floors, or they offer discounts for laundry services. You put the laundry out after dinner and it is delivered to your cabin, usually the next evening. If laundry service is an issue for you, before you book a cruise, check with the cruise line to determine if the have self service, a fee-based laundry service or both. 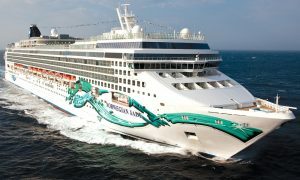 Dining: Cruise ships offer several complimentary restaurants including 2+ traditional dining rooms with waiter service; a less formal buffet dining experience, featuring a variety of ethnic foods and a few eateries featuring pub foods or desserts. Another option is the Specialty Dining offerings that carry a charge, such as a steak house, dinner theater, French, Japanese or Italian restaurants. The charge connected with eating in these restaurants is less that what the same meal would cost at a land restaurant. This cruise article is the first of several that will be published over the next months. As the time clock on the right indicates, “Can Do” Street is scheduled to launch a new website, a resource for families who want to know more about the cruise experience.